Top-tier track and field has become so competitive that the margin of victory is often vanishingly small. 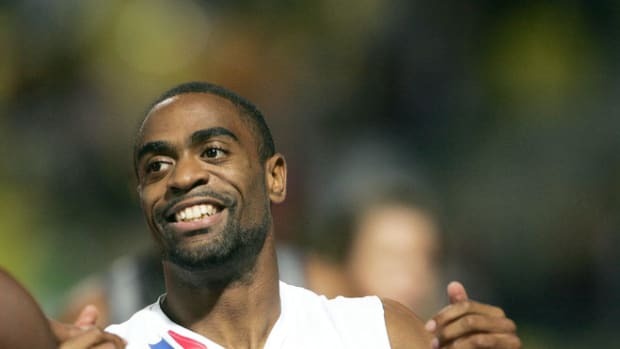 In the men’s 100 meters at the last Olympics, the difference between gold and silver was 0.12 seconds, less than the time it would take you to blink if a flashlight were shined in your face. The difference between silver and bronze was less than half that. The tiny gap between winning and losing has led athletes to look for what they call marginal gains, whether that comes from extra sleep, better equipment, or cheating. It also means that athletes needn’t take the industrial strength drugs that some baseball players and Soviet Bloc athletes famously took. 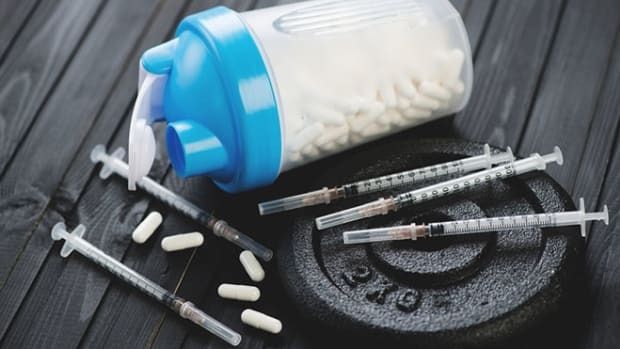 The most popular doping agents today are synthetic versions of natural hormones: testosterone and human growth hormone—which aid muscle building and workout recovery—and EPO, which causes the body to produce more oxygen-carrying red blood cells. Athletes have learned they can take small amounts—known as “microdosing—to evade detection and still get the benefits. For starters, accurately measuring the presence of tiny concentrations of drugs—particularly synthetic versions of natural hormones—is difficult. For the sake of calling a test positive, it’s even more difficult. Consider the ubiquitous anti-doping test known as the T/E ratio. “T” is testosterone and “E” is another hormone called epitestosterone, a natural product of steroid metabolism that provides no benefit. Most people have a T/E ratio of one-to-one. But there is natural variation among people, so the World Anti-Doping Agency set the T/E ratio limit at four-to-one. If a test goes above that, it is deemed suspicious and testing for synthetic testosterone ensues. 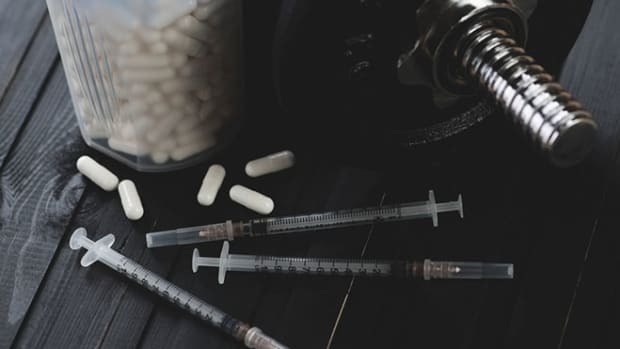 This gives an athlete with a typical T/E ratio room to dope before hitting four-to-one, and even small amounts of testosterone provide benefit. To make matters worse for drug testers, for many people, an elevated T/E ratio will quickly return to normal, even as the benefits of the drug are just beginning. Christiane Ayotte, director of the WADA-accredited lab in Montreal, knows that athletes are slipping through the porous T/E screen every day. She once said that she “cannot retire until we’ve found a better probe.” This is one reason why it’s important that athletes are tested repeatedly and, ideally, outside of competition without advance notice. There’s a testing method called CIR—carbon isotope ratio testing—that does not rely on the T/E ratio and can distinguish between natural and synthetic testosterone. Ayotte has caught athletes in random testing with CIR even though they had normal T/E ratios. CIR measures the ratio of types of carbon atoms in urine—which differs between natural and synthetic testosterone. Sprinter Justin Gatlin, a favorite to win the 100 at the world championships, was sanctioned based on a CIR test even though he didn’t go above a T/E of four-to-one. But the CIR test is costly and laborious, so it’s typically only done to follow up a suspicious T/E ratio. And it’s also far from foolproof. 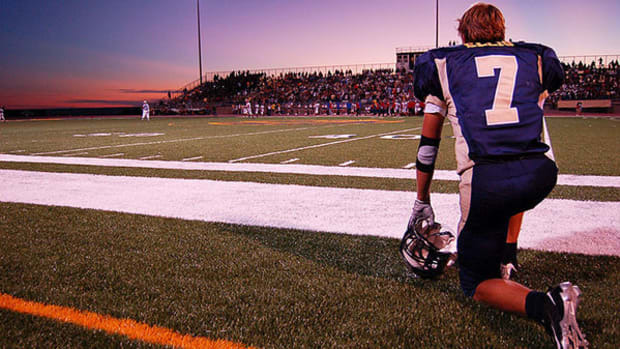 An athlete might stick to small doses because the test isn’t sensitive enough to detect the synthetic testosterone in urine at low concentrations. It’s also likely that kitchen chemists who work in sports doping are engineering synthetic testosterone with just the right ratio to beat the CIR tests. The hope of drug testers is that by combining various testing methods they raise the chances of catching a habitual cheater. The biological passport is a newer method of doping detection that tracks particular blood variables for individual athletes over time. It debuted in 2009 and has been updated since then. By monitoring things like the percentage of new red blood cells and the amount of oxygen-carrying hemoglobin, the passport documents physiologic trends for each athlete. In this way, a baseline profile is established—basically a minimum and maximum value for each variable for that athlete. The athlete could get in trouble if a future test shows a variable well outside the profile. Before the passport, testers needed to detect a drug—or the chemicals that the drug breaks down into—in the body. The passport simply documents the effects of the drug. Thus, it has a longer testing window, and can detect previously undetectable doping methods, like when an athlete transfuses their own blood. Known as “blood doping,” athletes remove and refrigerate their blood, wait until their bodies re-generate the blood supply, then transfuse the refrigerated blood. The athlete ends up with a significant advantage: a lot more oxygen-carrying red blood cells. Because it’s their own blood, none of the older doping tests would pick it up. The passport, though, would document the reaction of the athlete’s body. 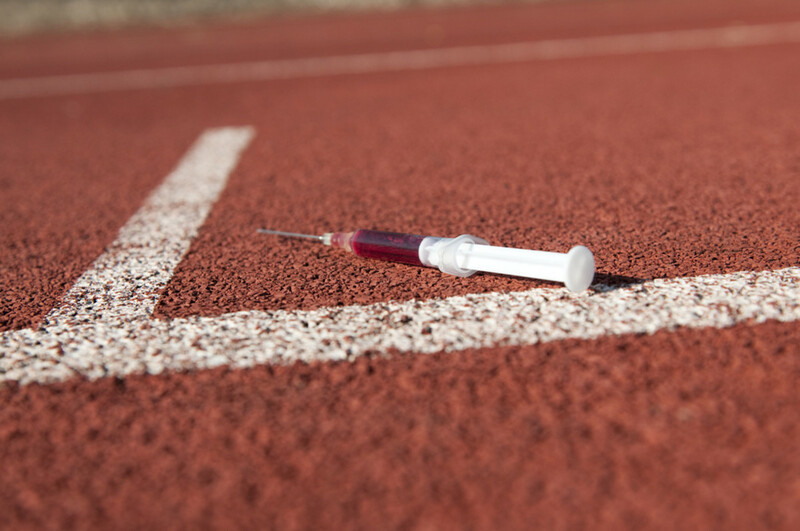 When stored blood is re-injected, the athlete’s body would ramp down production of red blood cells. If the opposite occurred—an athlete’s body produced an unusually high proportion of new red blood cells—it could indicate the use of injected EPO, which signals the body to make them. OK, THEN WHY WASN&apos;T HE SANCTIONED? Yes, and because the passport constitutes a very indirect form of drug testing—unlike some pre-employment testing which looks for direct metabolites of drugs like cocaine—athletes get the chance to try to explain abnormal results. And there actually are some good explanations. Blood count measurements can vary 10 percent or more just based on how hydrated an athlete is, the time of day, even the athlete’s body position during the test, not to mention training at altitude or sleeping in tents that simulate altitude. And don’t forget natural human variation. Populations of elite athletes tend to include at least some people with physiology that is rather extreme compared to most normal people. For example, one recent U.S. gold medalist naturally has a T/E ratio of 11-to-one, and a cross-country skier who won seven Olympic medals famously had 50 percent more red blood cells than his peers due to a rare genetic mutation. The line for a positive test has to be set very conservatively because we know there are natural outliers, particularly among pro competitors. Even athletes with clearly abnormal results sometimes walk away clean, and some of them actually are clean. When the NFL and the players’ union were having their spat, nobody mentioned that of 10,000 HGH tests around the world, only a dozen had come back positive. Importantly, one of those tests—a cross-country skier’s—was overturned by the Court of Arbitration for Sport, which handles the final appeal if an athlete contests a doping sanction. The court deemed the “decision limit” for a positive test had not been sufficiently proven as scientifically valid. In its ruling, even the CAS panel seemed to acknowledge the skier—who had a very abnormal test result—was probably cheating. But the court wanted more scientific evidence proving that there was a 99.99 percent chance that the skier’s test was a true positive. It helps that anti-doping authorities are constantly adding tests. Last year, biological passport profiling for steroids was added to the system that was already looking for blood doping. They’ve also employed DNA analysis to determine when athletes have submitted someone else’s urine. (Think former Minnesota Vikings running back Onterrio Smith and his “Whizzinator.”) Plus, samples from major championships are now stored for 10 years so that they can be re-tested with new methods. 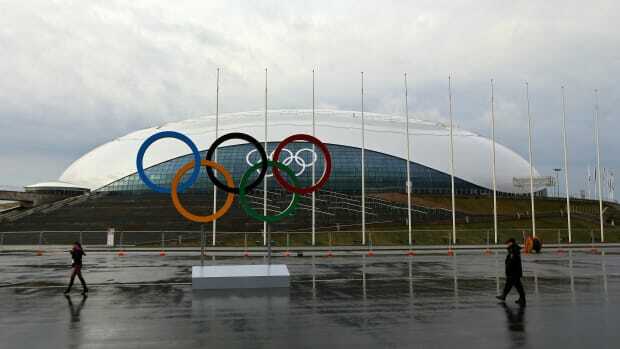 The IAAF recently suspended 28 athletes after re-testing samples from previous track and field championships. Those suspensions could result in two American athletes—Kara Goucher and Shalane Flanagan—being upgraded from 10K bronzes in the world championships and Olympics, respectively, to silvers. Still, even as technology has improved, the proportion of worldwide samples that test positive remains at about one to two percent year after year. The dopers and anti-dopers may be in technological lockstep. Perhaps the greatest innovation in modern anti-doping is the rise of investigations that lead to “non-analytical positives,” as with Lance Armstrong, who liked to note that he’d never failed a test. If you find the testing situation in Olympic sports depressing, remember that the WADA-approved testing regimen is the absolute gold standard in sports. Major League Baseball comes the closest—but not all that close—among the major pro sports leagues. The reason more athletes in those leagues aren’t being sanctioned for doping probably isn’t because it isn’t occurring. This post originally appeared on ProPublica as “Speed Bumps: Why It&apos;s So Hard to Catch Cheaters in Track and Field” and is re-published here under a Creative Commons license.